This planner tested, bride approved drape is a must have at any wedding. 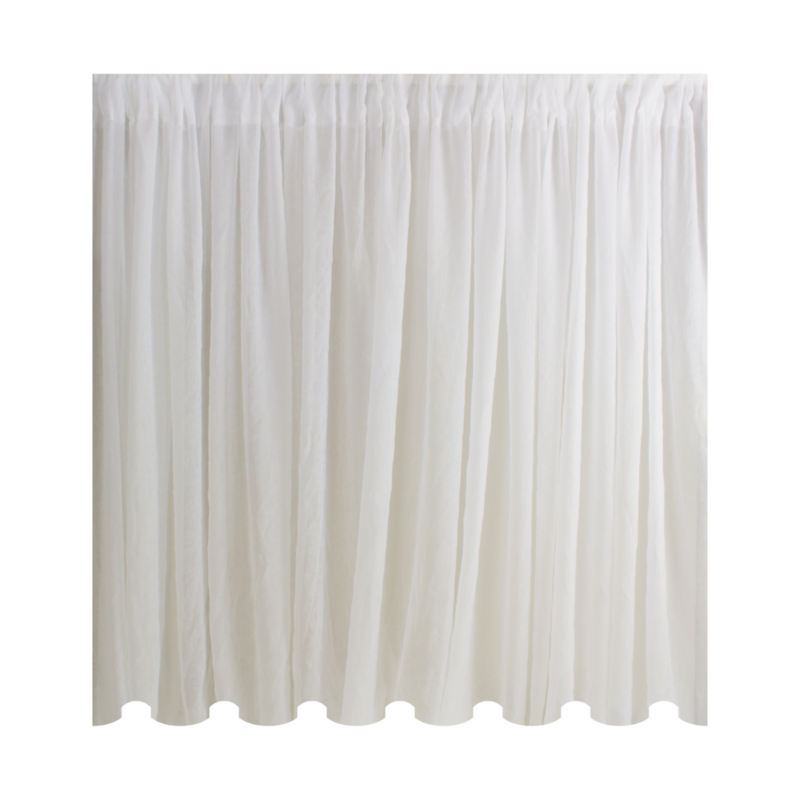 Our white crushed sheer adds a softening elegance to even the most “rough around the edges” of banquet halls. In contrast to other wrinkle-prone sheers, the subtle crushed texture keeps this drape looking stunning, smart, and oh-so-elegant for your big day. Commonly spotted alongside Bowerbird Original Burlap and string lighting at Portland's finest outdoor weddings. The choice option for canopy swags, altar backdrops, and cabana treatments. Often confused with chiffon, our sheer is far more durable and flowing than any chiffon in town. Right at home at the quincenera, bat mitzvah, and the Sweet 16 Party alike, especially when combined with color uplighting. 100% Premium Quality IFR Sheer Fabric.